All Tracks Recorded and Produced by R.B. 2012-2014 in San Francisco,CA and Brooklyn NY. Mastered and cut at Dubplates & Mastering, March 2014. Formed in opposition to the media identity schizophrenia of the present, Thought Broadcast thrive upon the post-punk tactics of forgery and radical anonymity. "Votive Zero" is the second release on Editions Mego from this mysteriously coded American outfit. Emerging from the US noise/punk background Thought Broadcast further trace a unique path with nine carefully considered obfuscations of rhythm and blurred takes on expressionism. Utilising minimalist spaces, rhythmic repetition and material textures "Votive Zero" navigates psycho-geometries whilst bathing in a lost, dubplate style fidelity. Within this construction, past and present are unified as a hazily paranoid exploration of electronic music's nebulous grey zone. From the damaged mystery of "07/13/2013" to the smeared beats of "Carving a Vow" and morse code mantra of "Runaway Signal" this ambiguous release treads a subtle and suspicious path where secrets once hidden are revealed on further, deeper listens. 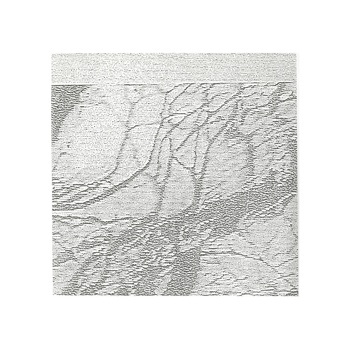 "Votive Zero" is a sustained journey through raw, hand rendered minimal electronics which advance the cause and effect of Thought Broadcast's strategic occurrences.